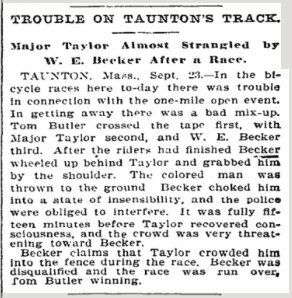 Overlooked No More: Major Taylor is a vignette from The Times about a World Champion bicyclist who didn’t receive a proper obituary when he died. Randal C. Archibold is the sports editor of The Times and wrote it. The Black Cyclone was a squat strapping man with huge thighs. Prejudice undermined his fame. I’ve written about Major Taylor a few times and in context to the great work being done to get youth into cycling. 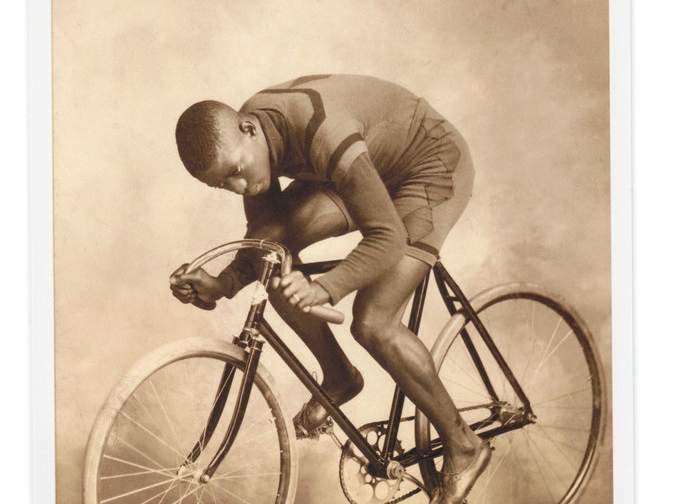 Last year, Major Taylor was featured in a Hennesy marketing campaign about a legendary Madison race. Life is too short for a man to hold bitterness in his heart. 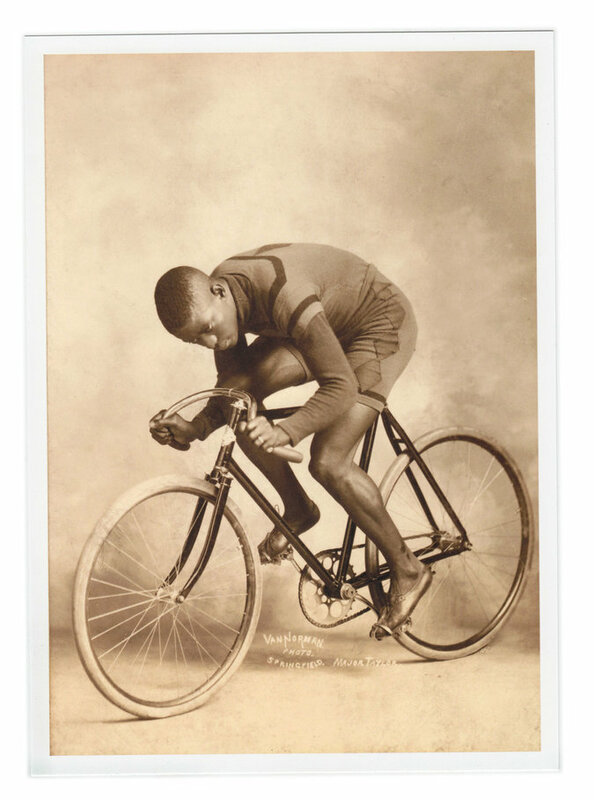 His self-published 1928 autobiography, The Fastest Bicycle Rider in the World: The Story’s Indomitable Courage and Success Against Great Odds shares how he overcame. His perseverance matched the athletic achievements including, one mentioned by the paper in 1897. The French celebrated his dominant form. A 1988 Biography, Major Taylor: The Extraordinary Career of a Champion Bicycle Racer expresses his confident identity. Another published in 2008, Major: A Black Athlete, a White Era, and the Fight to Be the World’s Fastest Human Being covers his later life of bad investments and a broken marriage. After all, the public’s fading interest in cycling as the automobile became more popular contributed to his decline. His dedication to never racing on Sunday was the inspiration for this blues song. The nickname “Major” came from the outfits he wore outside a bike shop. The most important aspects of his legacy is his daughter. She was determined to keep the Major Taylor story alive. As a result, a group of former racers had him reburied in proper grave. And, there’s a memorial outside the Worcester Public Library. A credit to his race who always gave out his best. The Times did a good thing here writing an overdue obit for an athlete that inspires today. Overlooked reveals the stories of remarkable people like Major Taylor.